Up until recently, agriculture has been behind the curve in digital marketing options, preferring to use traditional marketing methods. This may partially be due to the average age of today’s farmer being significantly higher than in most other industries, which has lead agricultural marketing to lag behind other industries in the shift to digital marketing. Because of the lack of opportunities that have been available until recently, many farm kids have been going into other aspects of agriculture rather than remaining on the family farm. 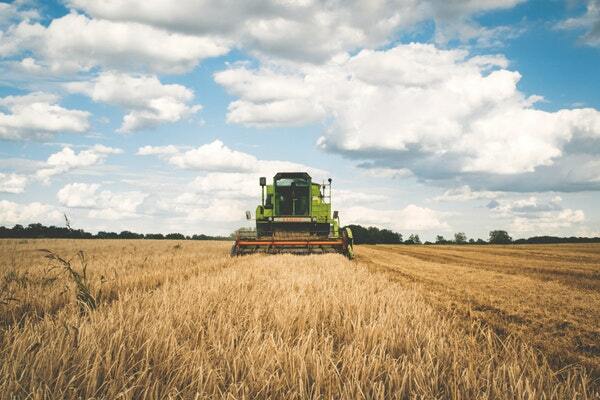 At the same time, digitization and easy internet access have changed the face of farming. People who have dreamed of living on a farm are using remote work to bring in the income they want while going back to the land, myself included. My parents both grew up on farms, but left for better opportunities. Internet access has made it possible for me to pursue a writing career while growing my family farm as a source for Shetland sheep wool for fiber artists and establishing the first Midwestern tea plantation in the US. While the shift in technology in farm equipment, precision agriculture and other areas of the industry has brought traditional farming families into the digital age, former suburbanites are bringing their expectations of digital marketing to agriculture. The time is ripe for agricultural marketers to make the shift from traditional to digital marketing approaches. What’s New with Agriculture Writing? Even though it’s easy to think of farmers as a consumer rather than a business, the high level of activity on most traditional farms requires a focus on B2B marketing techniques. The demands on their time require a more direct approach in content. There is, however, a split between traditional farmers and newly-established specialty farmers. If your products or services can be marketed to both markets, you’ll want to develop a softer approach to work with specialty farmers who are still accustomed to B2C marketing. In both groups, there’s a strong focus on economic value, quality, reliability and lifespan when marketing to farmers. They’re in business for the long haul and need products and services that will serve that long-term dedication. Another shift involves splitting the marketing message between digital and traditional channels depending on the product or service. Today’s farmer will often purchase or research long-term investments online while using the local co-op to purchase immediate inputs. As the current generation of traditional farmers gives way to the next generation, digital content marketing can be an excellent source of potential business for your company. Many younger farmers have grown up with smartphones, Google searches and ebooks, so they are used to finding the information they need for any number of daily tasks from the internet. Instead of consulting the county university extension office, local feed store or library, their initial research will be done online. Providing content to feed that research puts your company ahead of the competition in name recognition and perceived expertise in your field. As digitization brings our industry closer together, it’s also becoming a source of new options in agriculture. Just a few years ago, neem oil was not known outside of southern Asia, but has quickly become a standard pesticide for natural or organic production as its popularity has spread across digital channels. My own graduate research in plant science involved determining if tea plants, native to southern and southeast Asia, could be grown in the southern Plains states in the US. Though very little had been researched in the US, internet access to international botany journals made the process much easier. Farmers are reaching out to discover what options have worked well in other parts of the world that are not necessarily known in their local or regional agricultural community. This helps you open the door to new markets through exceptional content. Why Should Your Company Hire Agriculture Writers Instead of Writing In-House? When you hire agriculture writers to handle your marketing content creation, you’ll often find experts who have a solid understanding of the industry as well as the opportunities that abound through digital marketing approaches. They’re able to quickly shift between creating soft content for the five-acre hobby farm that sells herbs and eggs at the weekly farmer’s market and developing hard-hitting marketing material for the ten section row crop farm storing winter wheat in on-farm silos for the best possible market price. They’ll also have agriculture writing insights that can help your company expand its reach into different markets, such as breaking into the burgeoning backyard chicken market from the more traditional family flock and 4H markets where your company has already established a presence. Because their business is tied to creating effective content and copy for a range of agricultural interests, professional agriculture writers keep up with current trends, giving them the ability to quickly research and create the content you need. These agriculture writing tips can help your business take advantage of the shift from traditional to digital marketing in agriculture. However, many agricultural concerns that are digitizing their assets have found that outsourcing their content creation allows them to focus on what their business does best rather than splitting attention between a wide range of everyday tasks. If you want the advantages of exceptional agricultural content without losing time spent on your business’ areas of concern, outsourcing your content creation may be a good option to consider. Learn how Writer Access helps you hire agriculture writers for your company today. Cathleen V is a multi-talented writer with extensive knowledge in a wide variety of areas. As a top 1% content writer out of over 22,000 on another site she writes on and with excellent feedback on Writer Access, she has a finger on the pulse of what’s trending on SEO and the internet today; as a reliable, intelligent, creative writer, she can fulfill your needs now and in the future!